I think lunch gets overlooked because most of us are busy in the middle of the day. All the more reason that a filling, healthy lunch is so important. You need that mid-day boost to keep your energy up. Preparing my meals in advance is one of the ways I keep myself spending money on buying something quick in the middle of the day. 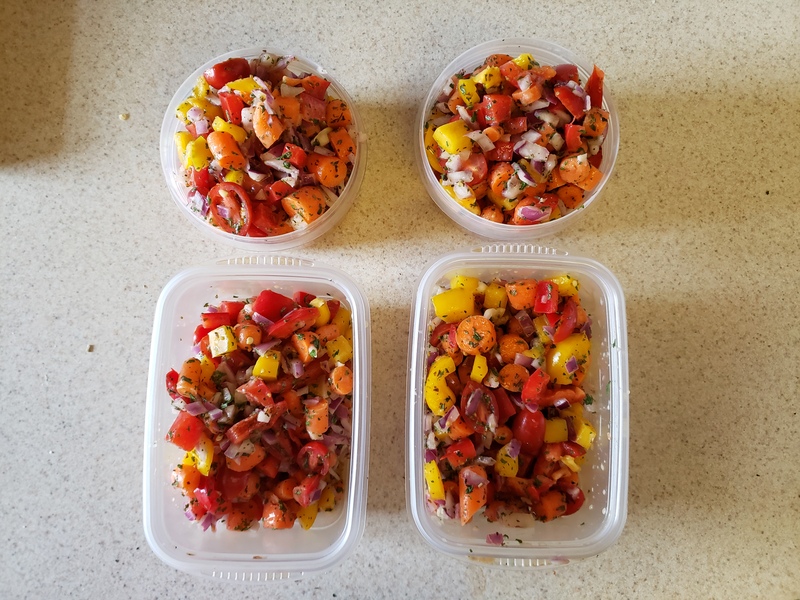 Sunday nights, I make enough food for four lunches, giving me one less task to attend to during the week when I’d rather be focused on other things. This is another place where the pressure cooker comes in handy. You can have this all done in under an hour using two pots and one bowl. Easy, right? First, get the rice started. Bring 4 cups of water to a boil, add the rice, cover the pot, and reduce to a simmer. Simmer the rice, covered, for 25-35 minutes until all of the water is absorbed. Fluff the rice with a fork and then move to a lidded container for storage in the refrigerator. While the rice is cooking, prepare the chicken. 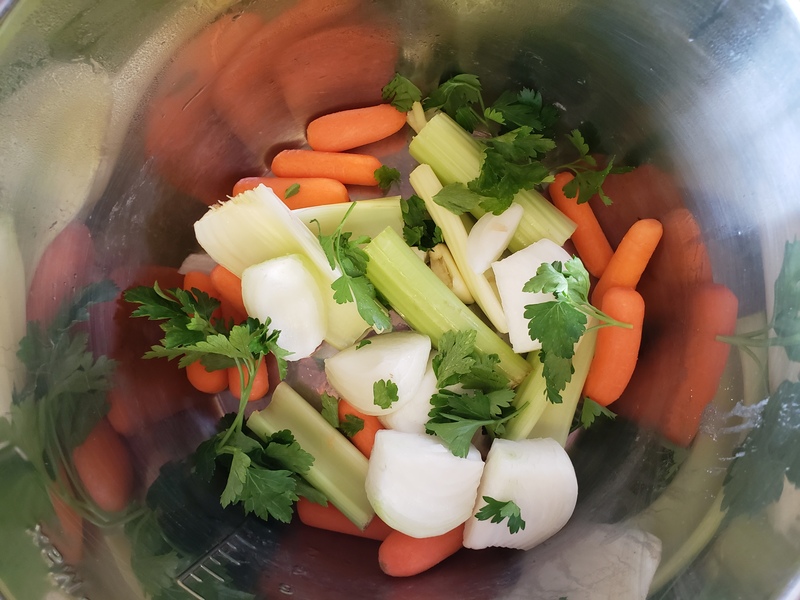 Place the onion, carrot, celery, parsley, and garlic in the pressure cooker. 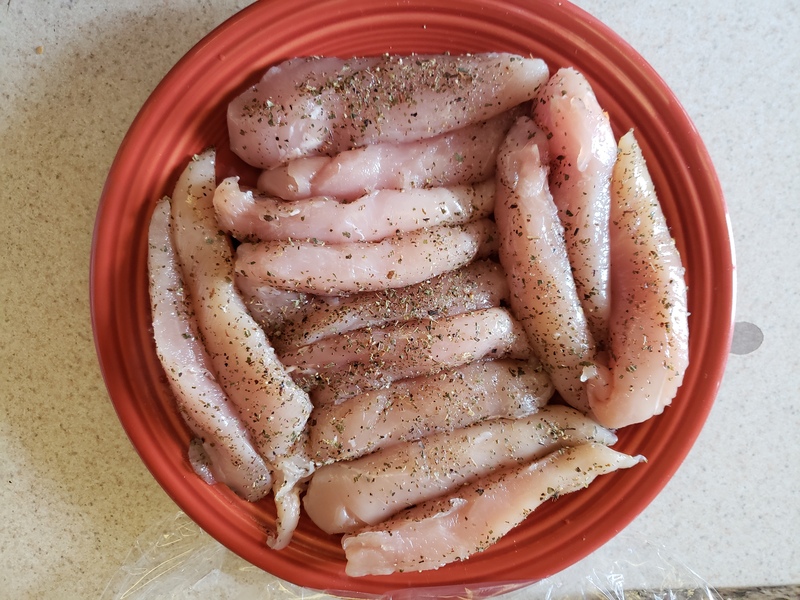 Season the chicken on both sides with salt, pepper, and oregano. Add the chicken stock/broth and seal the pressure cooker. Cook on high pressure for 20 minutes and then release the pressure naturally or using a quick release function. 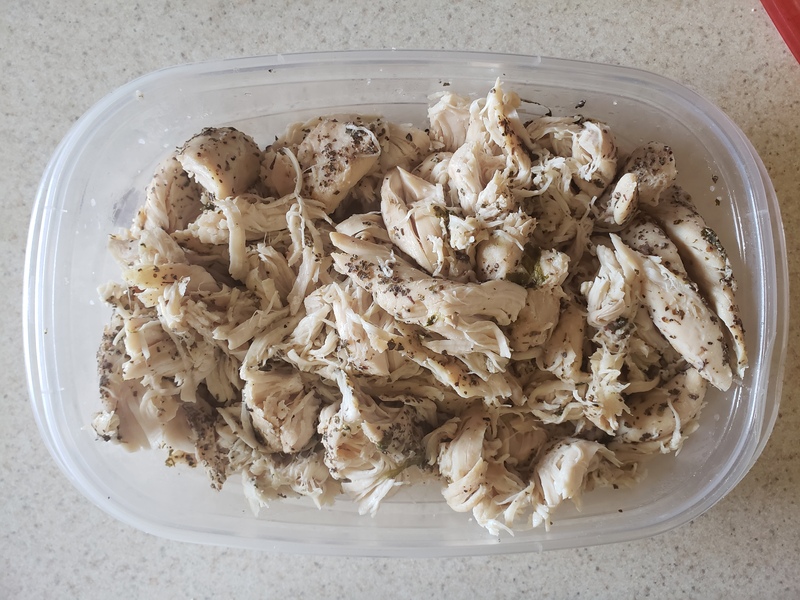 Remove the chicken to a container, shred using a couple of forks, and then season with more salt if needed. Move to a lidded container and store in the refrigerator. 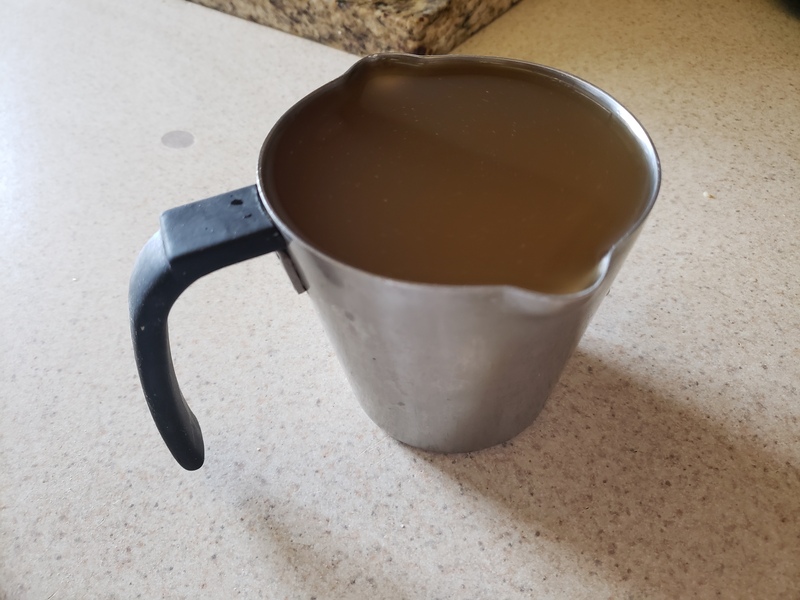 Strain the broth from the pot and save it in another container in the refrigerator. 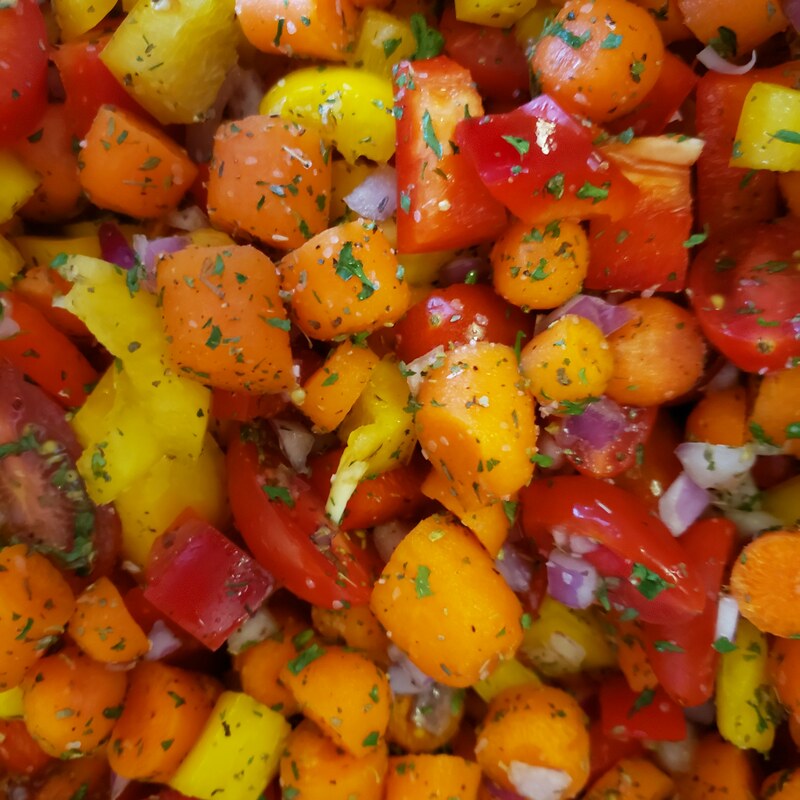 For the salad, combine all of the dry ingredients in a large bowl and then divide among four containers. Whisk together the white wine vinegar, mustard, and honey. Divide the dressing evenly among the containers of salad, seal, and then shake each container to distribute the dressing. Usually I take 5-7 oz. 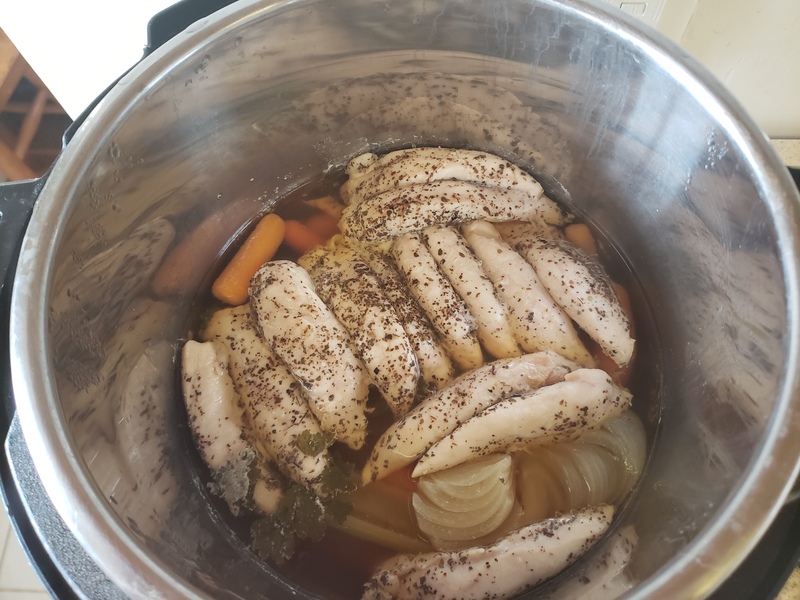 of chicken, reheat it gently with some of the leftover chicken broth and eat that over about a cup of the reheated rice with the salad on the side. It’s a really filling, but not heavy meal with lots of different textures. 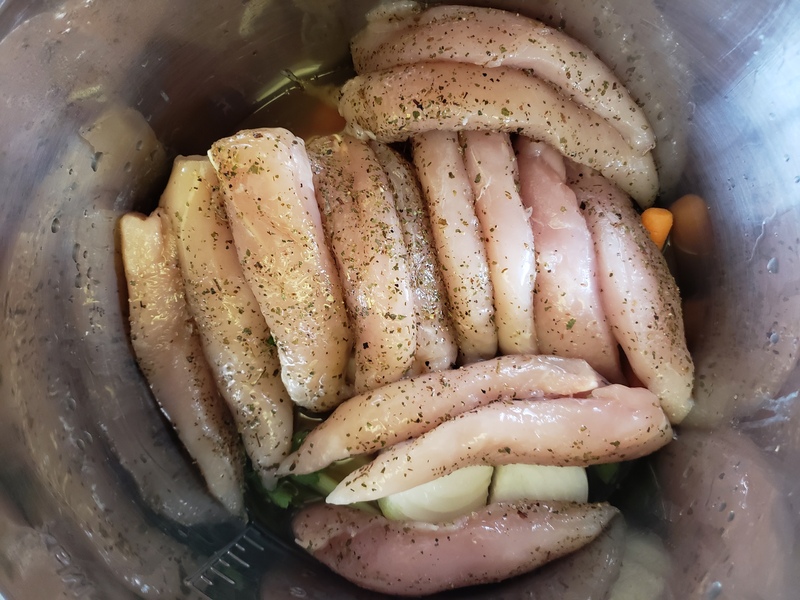 The savory chicken over well-seasoned rice is warm and comforting, and the salad gets better as the week goes on because the dressing really soaks into the veggies. 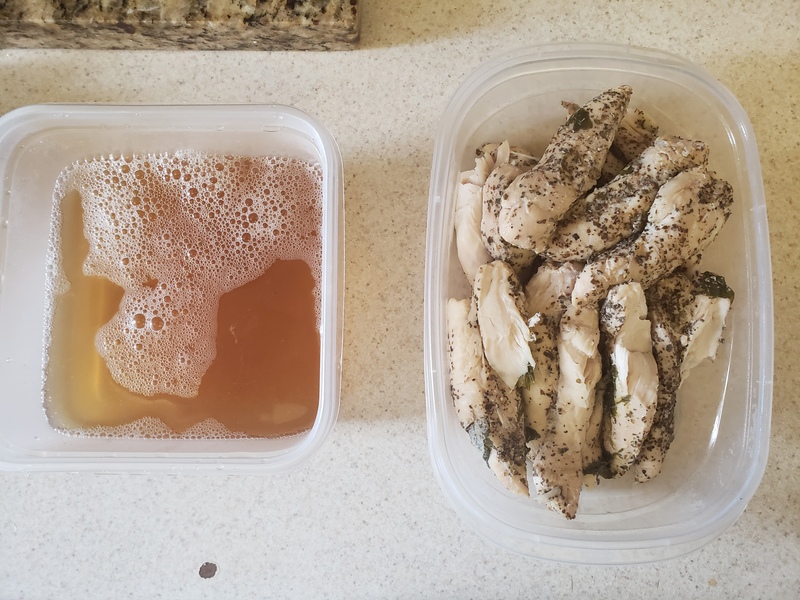 Taking a little bit of time to prep at the beginning of the week makes my lunches easy, inexpensive, healthy, and delicious; the best of all worlds! I hope this helps you out too.